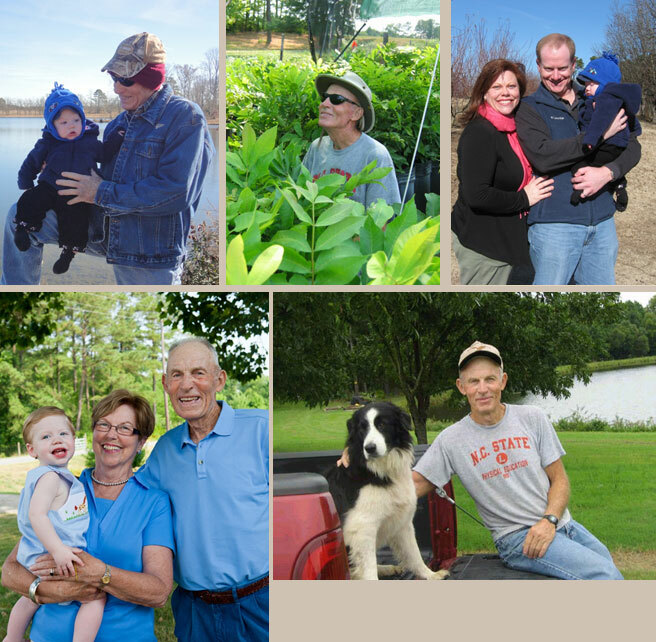 Lakeview Pecans is a family owned and operated business started by Bill Bunn. As he saw retirement from NC State University on the horizon, he found a way to fill his time in the place he loved the most, his family farm. He started to learn about pecan trees, and Lakeview quickly grew in his mind, heart and the sandy soil of his family farm. In the Fall of 2011, we lost Bill after a valiant fight with cancer. We miss him terribly, but in his honor, we are carrying on his dream. We are dedicated to make sure his years of hard work, love for his farm, and the pecan industry will be visible for many, many more years to come. 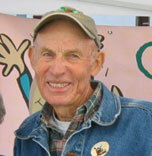 Some of Bill’s most enjoyable hours were spent in his orchard, accompanied by his dogs, and talking with customers and friends. We intend to continue his inviting and educational interactions with others. The first pecan trees were planted in 1981 with additional plantings annually. More than 20 new and improved varieties have been planted and are at, or nearing, production. Lakeview’s orchards are used for demonstration and research testing purposes by NC State University and NC Pecan Growers Association. The nursery operation is rapidly “growing”. With the single focus of providing superior container grown pecan trees, the nursery will remain at a level where each tree can receive individual attention. Lakeview expects to produce up to 8,000 pecan trees annually. The source of grafting materials is primarily from Lakeview’s orchards, insuring variety integrity. Our focus is to produce healthy trees which will grow rapidly when transplanted. Lakeview has been successful in obtaining the newly released varieties from the USDA Breeding Station in Brownwood Texas. The Lipan variety was obtained in 2012 and shows great promise for the commercial grower, as well as the homeowner. We expect Lipan will become available for purchase from Lakeview in the 2015/2016 season. Our capability to produce the Mandan variety is still growing and our numbers will increase each year. Lakeview also produces the highly regarded USDA releases Lakota and Nacono.